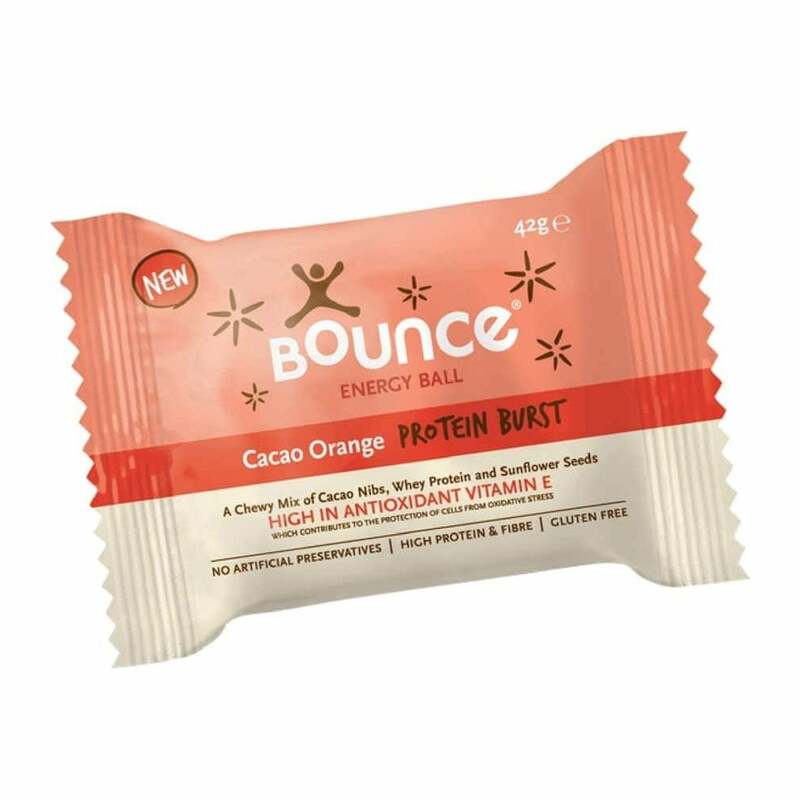 Bounce Energy Ball – Cacao Orange Protein. As well as tasting seriously good, it's an explosion of nutritious healthiness - combining cacao nibs, sunflower seeds, 10g of whey and pea proteins and rice bran. Even better, it's also high in fibre and antioxidant vitamin E.
Ingredients: Brown Rice Malts Syrup, Sunflower Seeds (19%), Cacao Nibs (13%), Whey Protein Isolate (from Milk) (12%), Concentrated Grape Juice, Whey Protein Concentrate (from Milk) (4.5%), Rice Bran, Cocoa Powder, Brown Rice, Pea Protein, Flavourings, Stabiliser (Guar Gum), Tapioca Starch, Vanilla Extract, Sea Salt, Antioxidant (Natural Mixed Tocopherols), Citric Acid, Stabiliser (Calcium Carbonate), Emulsifier (Sunflower Lecithin).